Meikon waterproof photo housing for iPhone 6 4.7'' is made from corrosion resistant polycarbonate PC material. 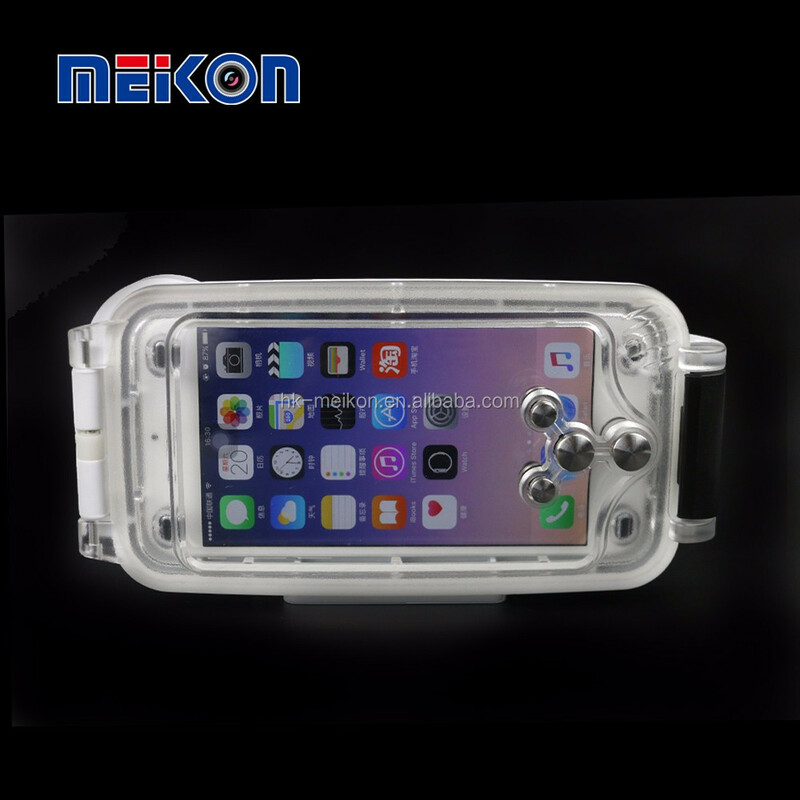 It can withstand 40M waterproof depth. Sealed with O-ring gasket. Under the back of the cover, there is a 32mm thread lens port. Wet lens port like fisheye lens, filters (32mm thread mount) can be mounted directly. 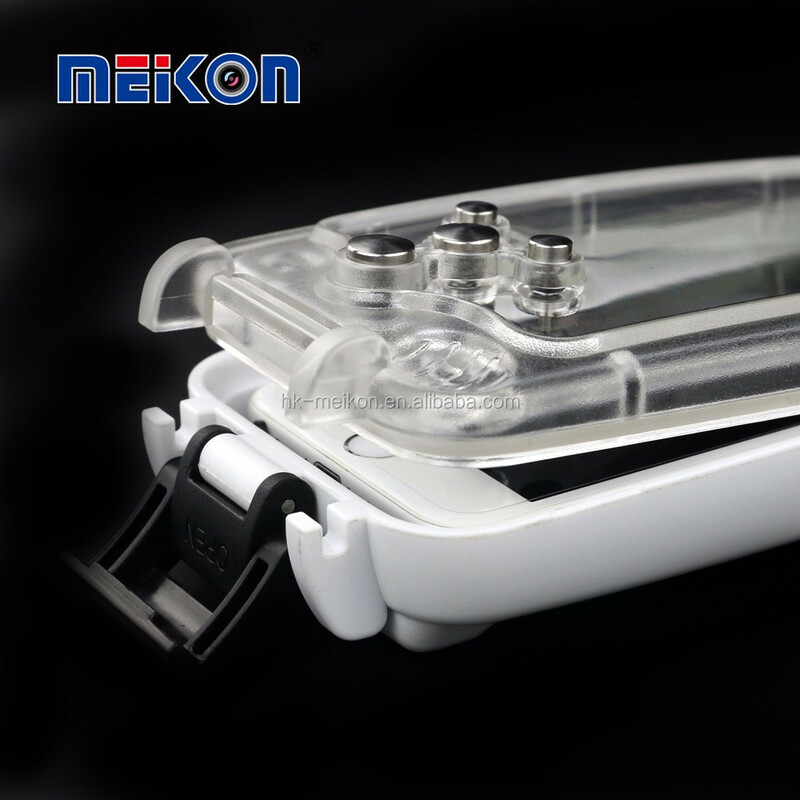 On the bottom of the housing, there're connector for single tray base so divers can taking picture under the sea conveniently. 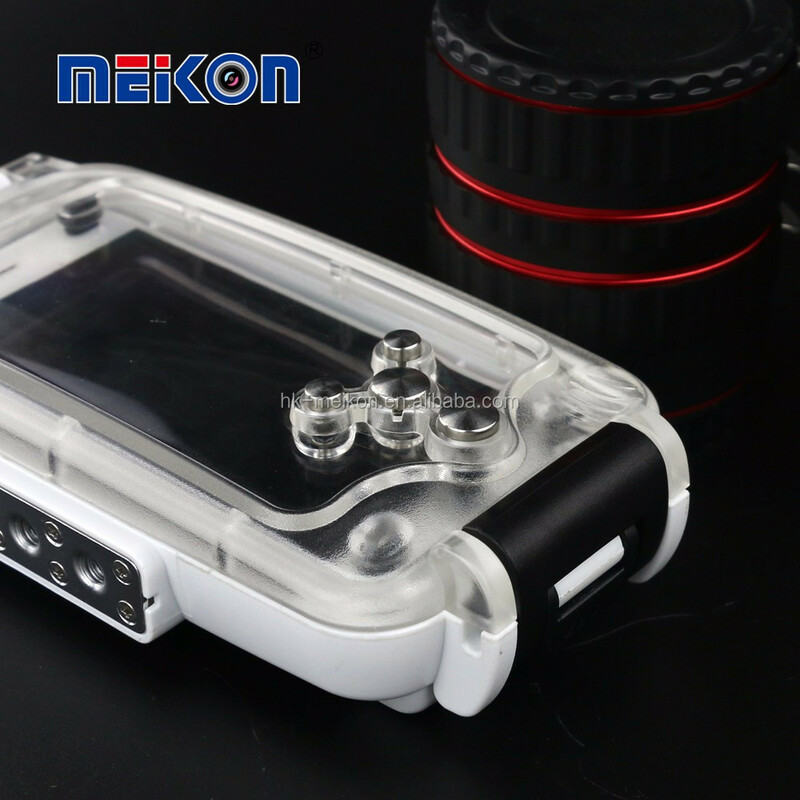 Specifically designed for underwater photo taking. Can use your iPhone with or without phone single tray grip. 40M water depth protection (IPEX 8). Anti-reflection window lens for high quality pictures. 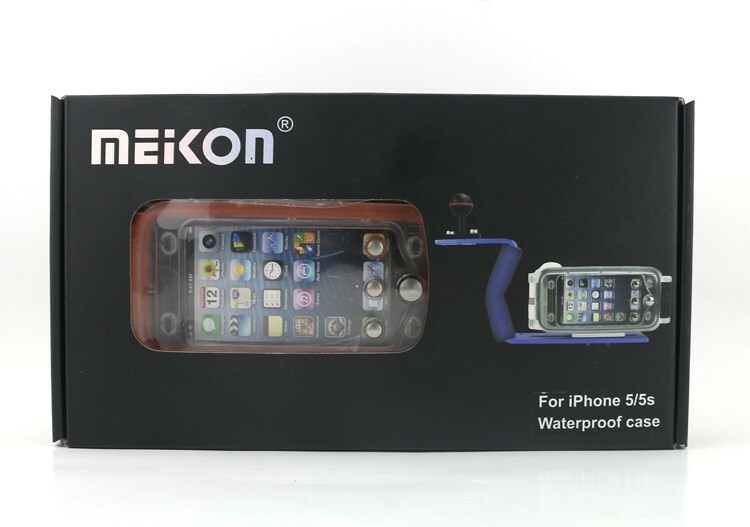 Superior quality with dustproof and waterproof design. Waterproofing Elements: Seal, O-ring and etc. 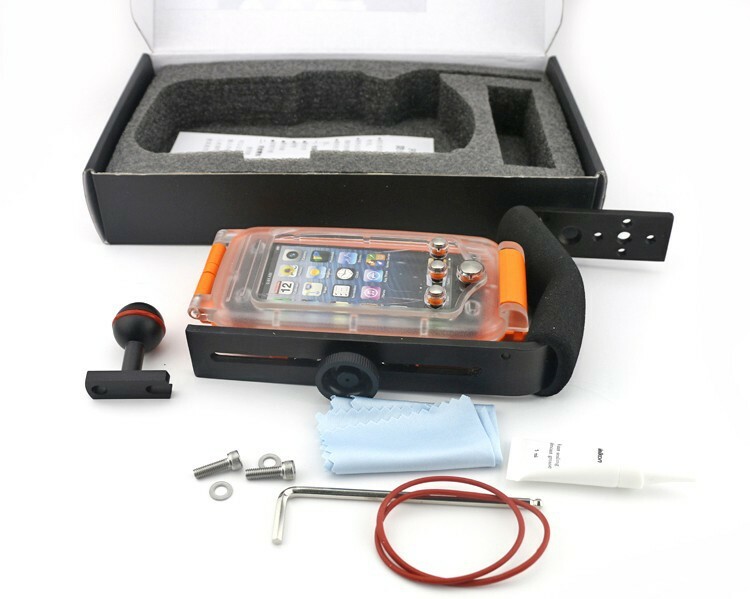 Please Note: The Phone is not included!! 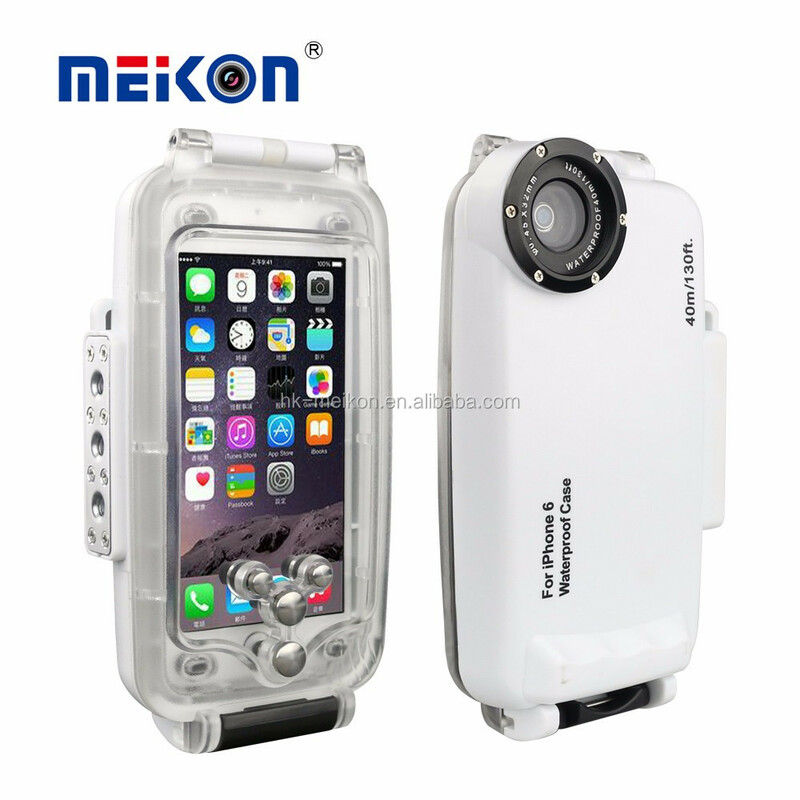 Shenzhen Kaichengyi Technology Co. Ltd.
located in Shenzhen China,a medium enterprise that has registed three brand with MEIKON,STARBEA,SEAFROGS so far,consists of design and development, mold manufacture, plastic injection, production and assembly, quality control and marketing. 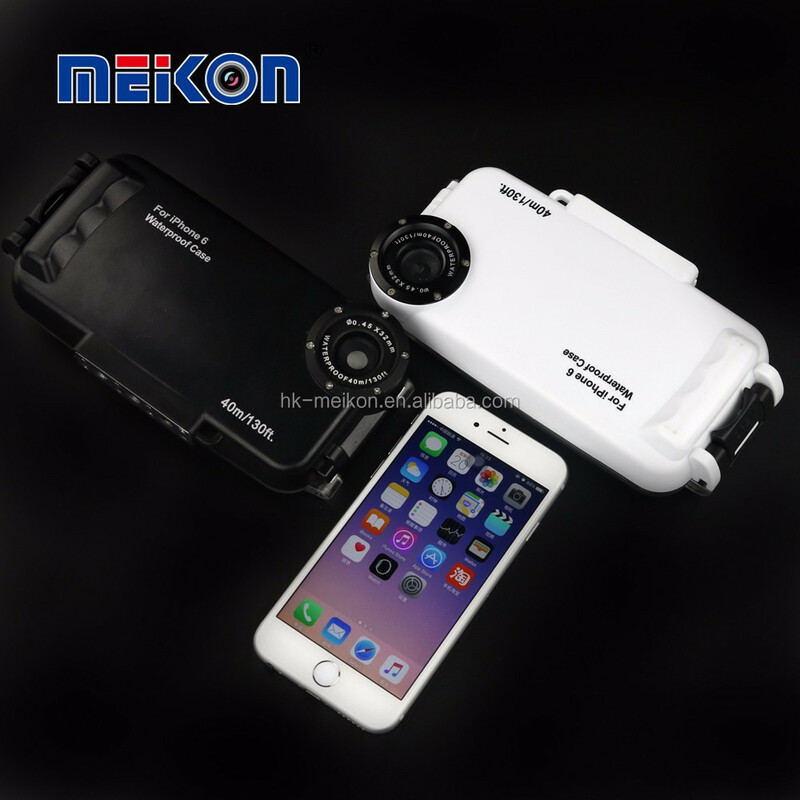 After few years efforts, our company has developed to a professional photographic equipment and diving accessories manufacturer. Our company has abundant technical strength, advanced production equipment, a sound quality system and scientific management concept. 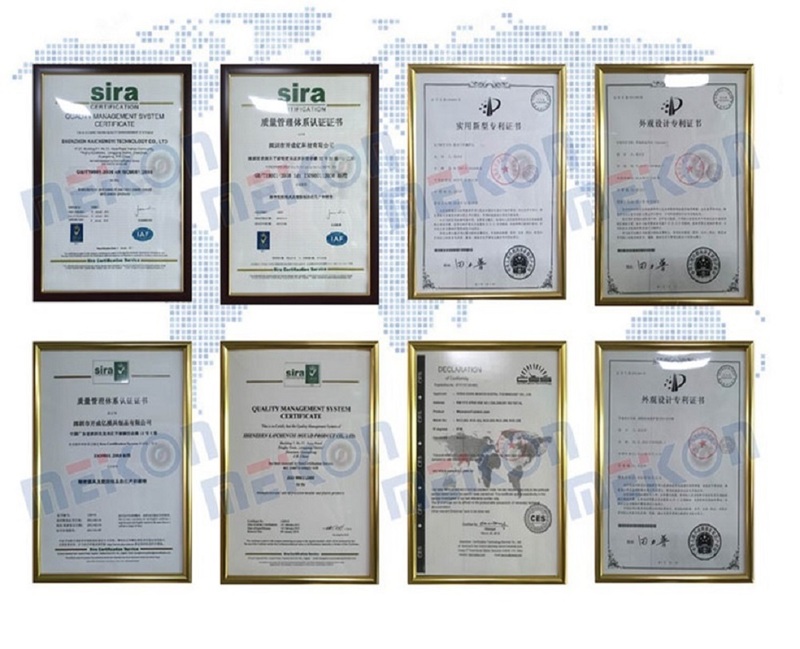 At the same time it has the ability to design and manufacture a variety of products, to provide customers with high-quality, high-efficiency, energy -saving, reliable products. The main products are Waterproof Camera Cases, Steadicam, 360 rotation gimbals' head for telephoto camera lens, digital camera track slide ball bearing rail system, table dolly car/camera dolly slider / DSLR truck skater for video camera, macro extension tube, strobe, diving torch and other underwater photography gears. Welcome to contact us for your business improvement. A: Generally if you choose the different products, our minimum order qty also will be different. Sample is accepted. 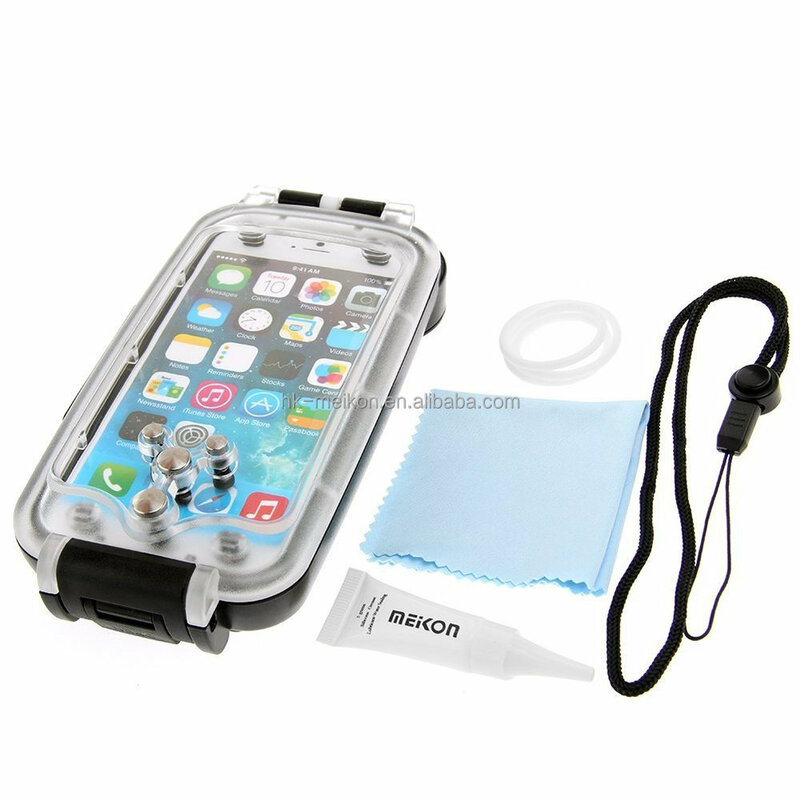 A: The waterproof case for Camera products will be sent within 1-3 days after the deposit was received. A: Yes, we offer 24 months warranty for our products. Damage due to misuse, ill treatment and unauthorized modifications and repairs are not covered by our warranty. A: We usually accept the payment methods include T/T, Western Union and Trade Assurance.20-100% deposit in advance and balance before shipping upon the payment amount. Buyer can choose which payment ways that you accept. A: We provide comprehensive shipping methods. small quantity orders we ship by UPS Air Express, or DHL/FEDEX/TNT/EMS Express service, it is safe and fast.For large quantity orders we ship by buyer's cargo agent in China, we can also ship by Air transportation or sea transportation. A: Yes,we can offer custom solution if standard products couldn't meet buyer' requirements. Return and exchange is possible if the products have quality problems.